Just a few days after picking up his first few hits of the season, Baltimore Orioles slugger Chris Davis belted his first home run of 2019. Davis pinch hit with two outs in the ninth inning with his Orioles down 6-4. The Orioles now lead the Red Sox 2-0 in the third. 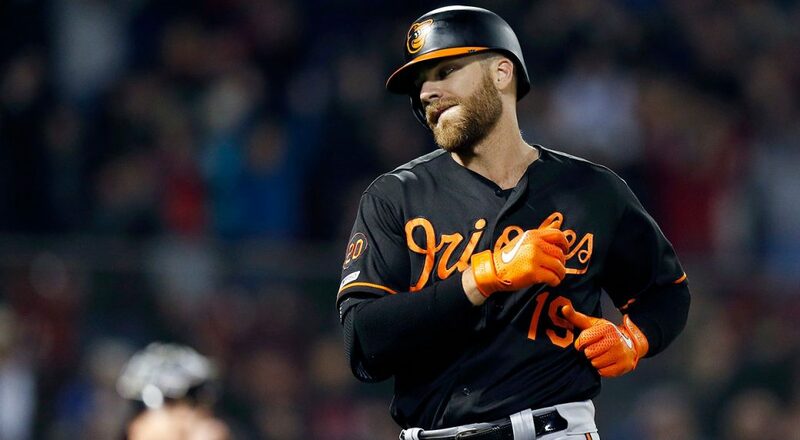 Baltimore will need Davis to find his groove again at the plate, especially since he still has three seasons left on his $161 million deal. He's now batting.089 after breaking his record hitless streaks Saturday. It took Davis until Saturday to break out of that slump, which lasted 54 at-bats. He hit a soft liner to short right for the final out of the game. Davis drove in four runs, and was instrumental in Baltimore's 9-5 win. Chris Davis' deep freeze is over now, too. Given how poorly Davis started the season, his recent stretch can be considered a hot streak. Where does Davis go from here?